Help SiteClinic Users Q & ACan I Merge Duplicate Patients? 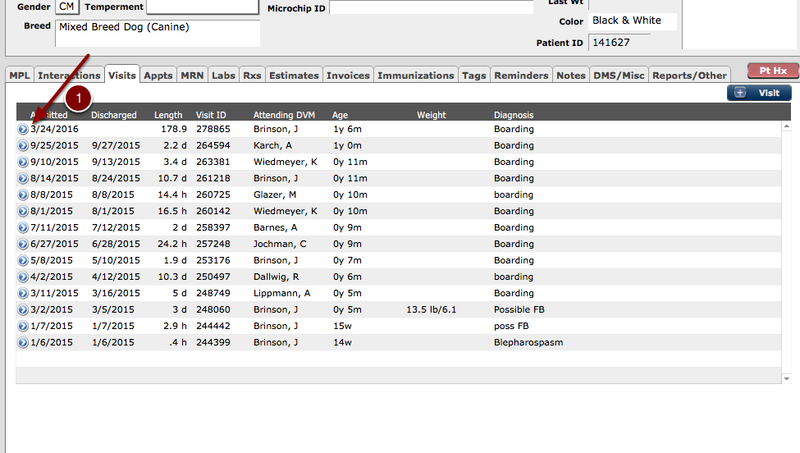 SpecVet does not have a merging tool for duplicate patients. 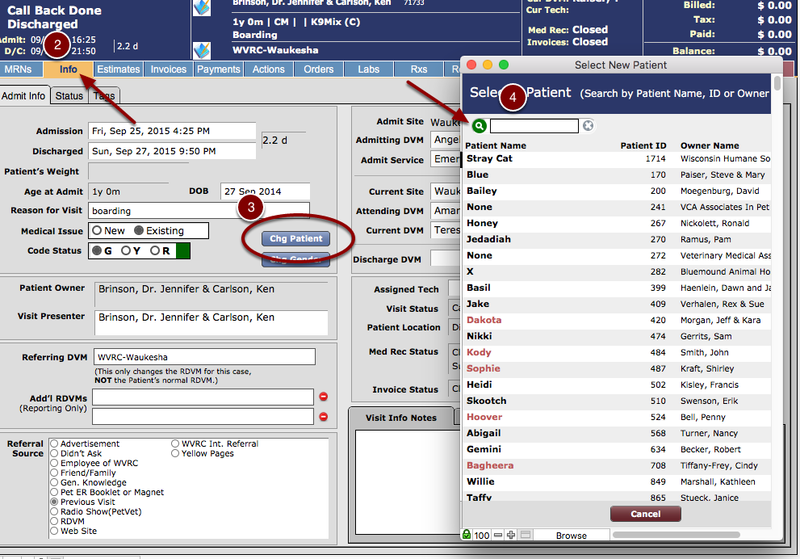 What can be done is to move all the associated visits to one patient and then you are able to delete the duplicate patient. When doing this, only the visit information will transfer. All non-visit documentation will be deleted with the patient. What are non-visit documentation? All non-visit prescriptions, tags, reminders, immunizations and future appointments. put in order of the tabs. 3. Select the blue "Change Patient"
This will transfer all visit related information to "Patient B" record. Repeat these steps for each visit you want to transfer. 5. Once completed you deleted "Patient A"
Next: How Do I Remove a Patient From The Dashboard After Discharge?